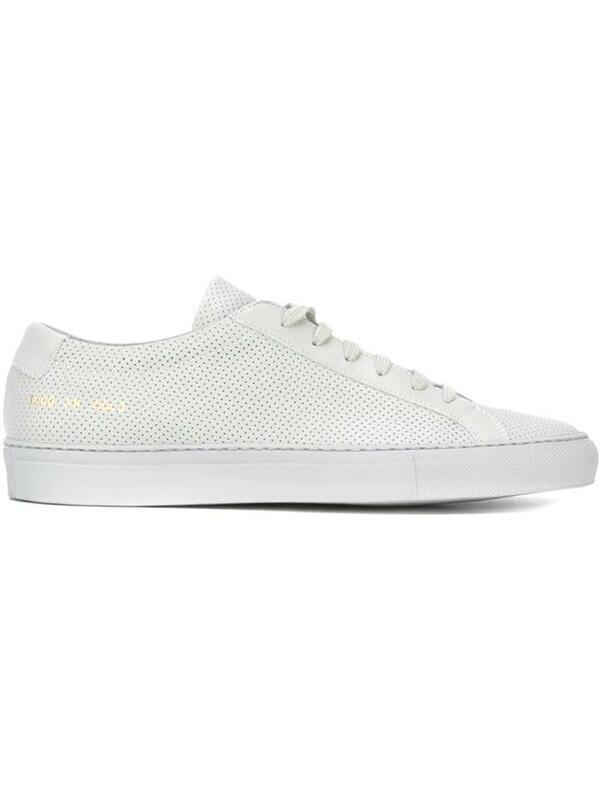 Grey leather 'Achilles Perforated Low' sneakers from Common Projects. Size: 40. Color: Grey. Gender: Male. Material: Leather/rubber.